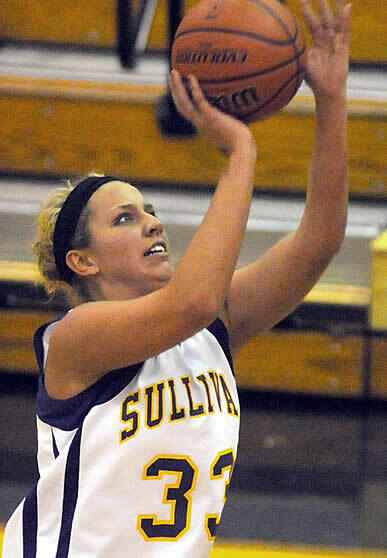 Sullivan’s Rhagen Smith is one of 16 seniors who will be moving on to the next level in-state. Smith will be playing at Indiana State next season. Photo from the Tribune Star. The early signing period for Division I athletes begins two week from tomorrow, and a good number of players from the Class of 2013 have made their decisions known, some years ago as sophomores and juniors, and some in the past few weeks. In-state college staffs have been working hard to retain Hoosier talent, and they have done a good job. Of the 30 D-I recruits we are aware of from the senior class, more than half (16) are remaining in Indiana as they move on to the next level of their basketball careers. You can keep current with college commitments from the senior class on our Class of 2013 page. If you are aware of a senior player who has verballed to a college that we don’t have listed, please contact us with her information. Basketball and other thoughts & opinions from the RRR. Not overly newsworthy, but sometimes we have stuff to say. :-) Comments welcome! So you’re at a game and want to know what else is going on in the Indiana basketball world, so you whip out your iPhone, go to Safari and either type in the RRR domain name or pull it up on your bookmarks. It’s a tedious process, especially with popcorn salt on your fingers, and yikes! You just missed that awesome steal and layup by your favorite player. Grrr.